On November 11, 2012 fifty cadets and adult volunteers from Gwent and Powys ACF paraded at the Menin Gate in Ypres, Belgium and laid wreaths on behalf of the ACF and the Royal Welsh to remember the fallen of the First World War. The parade was attended by His Royal Highness Prince Philippe, Crown Prince of Belgium, Commonwealth and US Ambassadors, Defence Attaches and other VIPs. 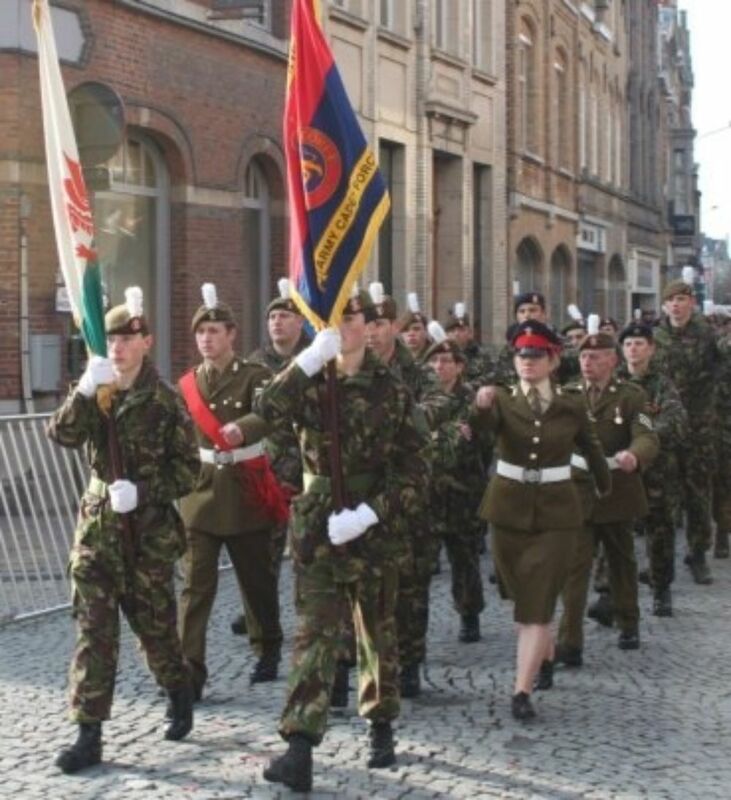 Colonel Rob Hughes, Commandant of Gwent and Powys ACF, who headed the party, said “This is a once in a lifetime opportunity for both cadets and adult volunteers. To be present at the Menin Gate at the 11th hour of the 11th day of the 11th month is an enormous privilege for all of us. The visit has undoubtedly had a massive emotional effect on everyone, and is also of great educational value to the cadets." On the preceding evening the group attended the Passchendaele Torchlit Ceremony – which marks end of the third battle of Ypres on November 10, 1917, in which 245,000 British and Commonwealth troops died.